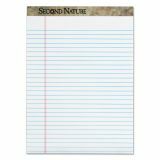 TOPS Second Nature Recycled Pads, 8 1/2 x 11 3/4, White, 50 Sheets, Dozen - Second Nature pads offer clean, bright paper with Letr-Trim perforation for easy tear-out. 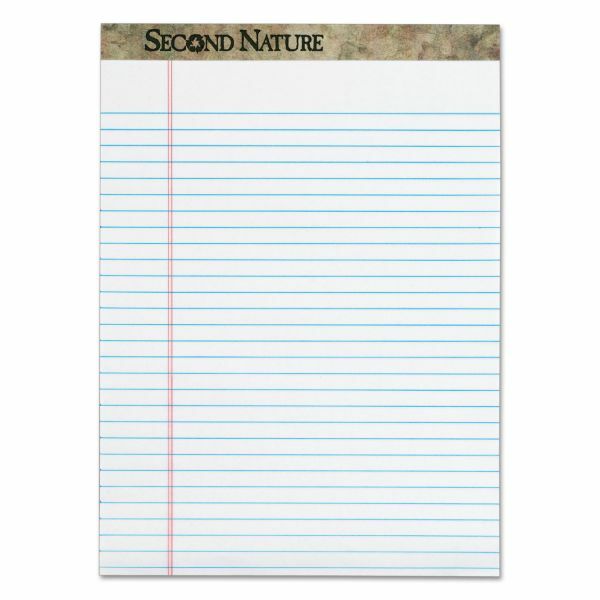 Top-bound sheets have dependable line spacing. Made from at least 50 percent recycled material with at least 35 percent post-consumer material, meeting U.S. government standards. Each pad contains 50 sheets of 15 lb. paper.